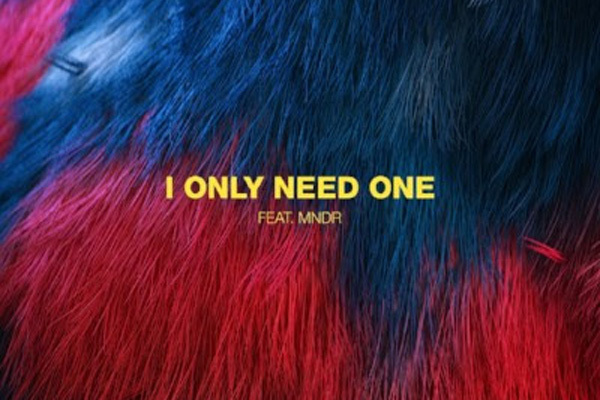 MUMBAI: There's something about your love, kiss these red lips, I only need one," MNDR coos over the hypnotic chorus of her collaboration with 24-year-old Oslo, Norway native Bearson's (Jakob Bjørn Hansen) new single, I Only Need One. On I Only Need One, MNDR adds her pop pharaoh powers to Bearson's polished production, the song's undulating synths carrying MNDR's longing vocals along its melodic wave. Over the last several years 24-year-old Oslo, Norway native Bearson (Jakob Bjørn Hansen) has proven his knack for creating resonant music while also continuing to push and evolve his sound. He first captured the attention of the Soundcloud community and BBC Radio 1 with remixes of James Bay, Astronomy, and Phoebe Ryan, followed by establishing himself as a stalwart of the Tropical House movement with his original singles, Pink Medicine, Want You and Imposter with OWSLA star Mark Johns. Now with over 40 million plus Spotify streams and almost half a million daily listeners, Bearson is ready to introduce his latest iteration. After picking up his roots from Oslo, Bearson moved to Los Angeles where he co-founded Next Wave Records, the homegrown imprint that would help launch the careers of Atlas Bound, Kasbo and more while solidifying Bearson's penchant for identifying rising talent. That talent for AandR is something he puts to use when creating his own music, which Bearson has been meticulously crafting over the last couple years. Despite a meteoric rise, Bearson has stayed out of the spotlight since his 2017 single, Cold War with Vic Mensa and Coldplay collaborator Mr Hudson, choosing instead to devote himself to beat-making, working with fellow rising artists, and focusing on personal growth. "I took a few steps back and just made tons of music with so many talented people," Bearson says. “I have learned so much from the producers and writers I have met who have all inspired me in one way or another," he further adds. Both artists are no strangers to collaborations with Bearson teaming up recently with occult-pop artist Kailee Morgue and Mom + Pop Records signee Ashe, and MNDR revealing her Hudson Mohawke produced the track, Gravity. MUMBAI: As spring arrives, Atlanta native AIR APPARENT returns with a delightfully warm electro-pop single Asking You – serving as the perfect love anthem to jump into warmer weather. MUMBAI: Serving up his first release of 2019, Belgian DJ and producer The Magician has delivered Ready To Love, a hot new summer house anthem.